Among those cases, there are in total 6 cases, including the now decided case [against] Dr. Wenz, with a ban for five years; the last one before Dr. Wenz took place in 2012. Two papers have been pulled by Cell Metabolism; another was retracted by PNAS, and a fourth paper disappeared from the Journal of Applied Physiology late last year. This is a mere slap on the wrist. I think a lifetime ban from all German funding bodies would be more appropriate. If an academic is barred from funding for so long, he/she will find it very difficult to find new funding afterwards assuming the funding agencies check the cv’s of those applying for funds. I think this 5 year ban is effective for much longer. Thanks. Good to point that out and make this quantitative. Half the sanctioned academics return to research work and 1 in 6 of those get NIH funding. So roughly 10% get back to ‘normal’. Somewhat more than what I expected, but it means that people do make use of this second chance, and that is positive. Indeed. Who said crime doesn’t pay? On the back of this fraudulent research, she obtained a faculty position in Köln, followed by a plum job in industry. Also she received an Emmy Noether fellowship thus preventing funding of a more worthy candidate. 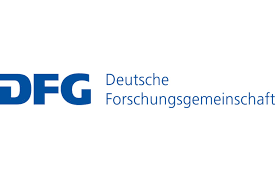 The least she should do is pay back her (very good) salary back to the DFG.